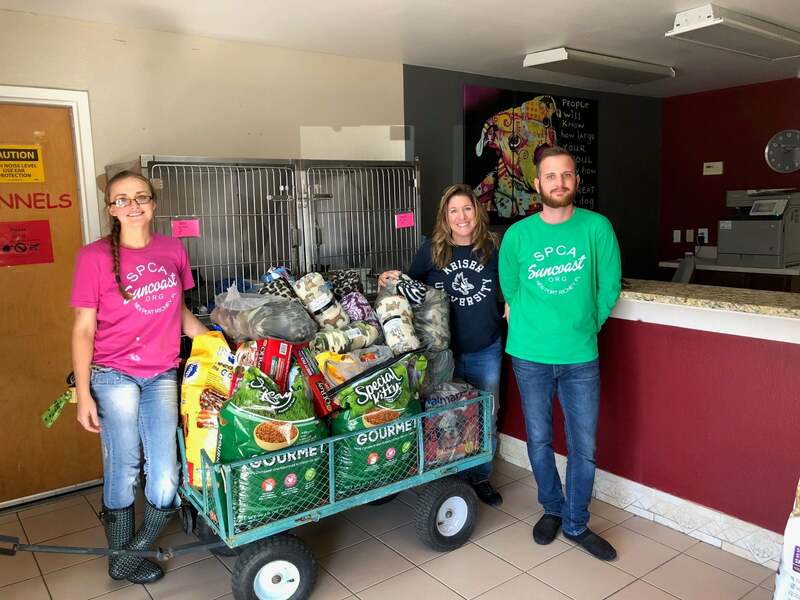 Students, staff and faculty at the New Port Richey campus raised money for the Society for the Prevention of Cruelty to Animals Suncoast by doing a jeans day and also a cupcake fundraiser with Sugardarlings Cupcakes. The campus raised $265.00 between the two events. 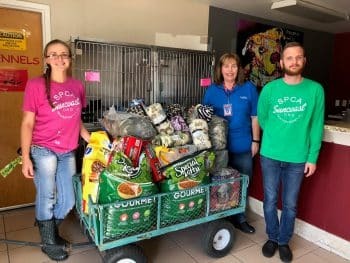 Staff members, Cynthia Dietrich and Marianne Brawer, went to Walmart and loaded two carts with dog food, cat food, blankets, treats and toys and then delivered them to the SPCA.